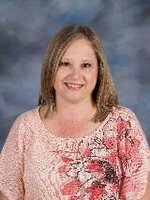 Kathy Young began working as secretary at Moody Middle School in 2013. Kathy has worked in the office setting for twenty-three years. She worked for thirteen years before deciding to quit work and stay home with her two daughters. Once her children were older she decided to go back to work. Kathy and her husband have been married for 33 years. They have two daughters, a son-in-law and a dog, Hubble. Kathy and her family actively attend Metropolitan Church of God. Her favorite past time is spending time with her family. She enjoys being outdoors, game night, hiking, picnics and pretty much anything with family and friends. However, she also loves to read a good book.